World No. 117 Denis Istomin produced the shock of the 2017 Australian Open so far by dumping defending champion Novak Djokovic out of the tournament in the second round. 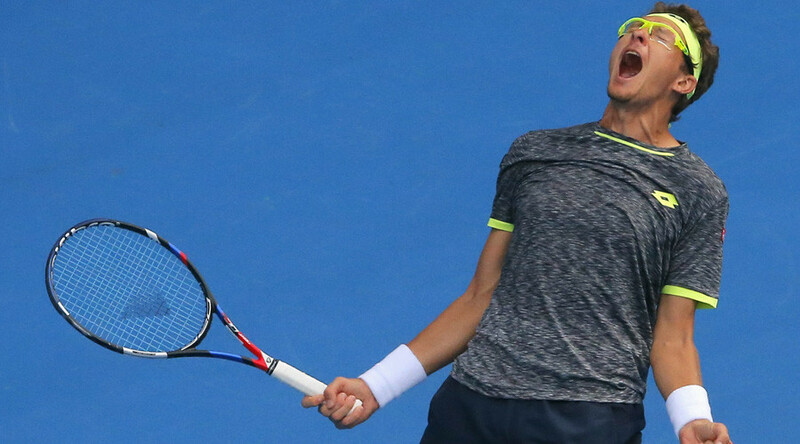 Russian-born Uzbek Istomin beat No. 2 seed and former long-reigning world No. 1 Djokovic in their match in Melbourne 7-6 , 5-7, 2-6, 7-6 (5), 6-4 to send the six-time champion home in just the fourth day of the tournament. It is the first time since 2007 that Djokovic has failed to reach at least the quarterfinals of the tournament in Melbourne, where he has been champion six times (2008, 2011, 2012, 2013, 2015, and 2016), a record he shares with Australian great Roy Emerson. The defeat in Rod Laver Arena is also the earliest Djokovic has exited a major since 2008, and means the Serb would not be able to take his Australian Open title tally to seven to set the record for the most men’s singles titles at the tournament. “First of all I feel sorry for Novak. I was playing so good today,” Istomin joked in his post-match interview. “I want to thank my team, mum. We do a good job. Thank you guys. Amazing. So much emotion in my mind so I cannot hold it, you know. But I want to say thank you very much to coming and support me. “All the credit to Denis for playing amazing and he deserved to win. No doubt he was the better player in the clutch moments,” Djokovic admitted. Istomin takes himself into the third round where he will face Spain’s No. 30 seed Pablo Carreno Busta.